Reading Black Consciousness books is the fastest way for new members of the community to gain knowledge of self. By reading just one of these scrolls each month, you will have a deeper understanding of the weapons of white supremacy, your place in the world, and the definition of Black Consciousness. I personally explain why I chose these books in the video below. Long before the Pan-African Alliance was created, we spent thousands of hours reading hundreds of books. Some of the books we read had the same information that could be found in other books. There were also many books on Black Consciousness that were based on the author’s opinion instead of proven facts. And finally, some books contained information that could not be used on a practical, everyday basis. We limited our list to 12 books. If the average reader finishes a book in one month, she or he would be able to finish this list in a year. We eliminated books that were complicated, technical, or hard to read. Since this list is meant for new members of the community, we saved the more complex scrolls for advanced lists. We chose books that covered as much of the 959 spectrum as possible. That left us with 12 black consciousness books that expose readers to 360 degrees of new knowledge in one year or less. Chancellor Williams was one of the greatest minds in Black history. In this book, Dr. Chancellor Williams reveals how the African Diaspora found itself at the mercy of white supremacy. 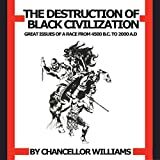 If you ask most members of the community what they think the most important of all Black Consciousness books is, this is the one they would name. Dr. Walter Rodney gave his life to write this book. In the summer of 1980, a bomb took his life. 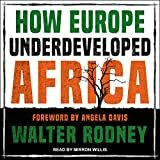 But not before How Europe Underdeveloped Africa had changed our understanding of Africa’s plight. This book, and the Black history it teaches, is an excellent starting point if you want to truly understand how Africa ended up the way it is, and who is to blame. Dr. Cheik Anta Diop’s vision of a United States of Africa formed the foundation of the political views of many Pan-African organizations, including ours. In this book, Cheikh Anta Diop gives you a clear vision for a federated African state, along with realistic steps for achieving it in our lifetime. If politics is your area of focus, this book is required reading. In this book, Dr. Ashby reclaims our stolen legacy from Yogic traditions, brings them back to their Kemetic source, and gives the student an OverStanding of the practical applications of Kemetic Science. As one of the most important spiritual leaders in the study of Kemetic philosophy and practice, Dr. Ashby’s work is critical for anyone on their path to the development of knowledge of self! Another important political scroll, Consciencism contains the political philosophy of the first President of Ghana, founder of the OAU (a pre-cursor to the African Union), and the Chairman of the All-African Peoples Revolutionary Party – Kwame Nkrumah. This book was so revolutionary, it was banned in prisons across the United States for fear of a Black uprising. If you want to truly understand the weapon of white supremacy that we call prosecution, this book is a must read! If you prefer to listen to books instead of reading them, you can download the audio version for free with an Audible trial. 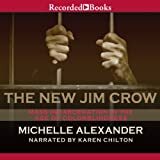 Click here to learn more about Audible, and add The New Jim Crow to your playlist. “Unless African Americans put together a coherent educational and economic strategy, they risk becoming a permanent underclass within 20 years. Black business people will have to lead; you must build an alternative economic and educational system as soon as you can. Dr Claud Anderson gave us the blueprint for real economic liberation. “Black labor, in all its forms, is becoming obsolete,” he said. Therefore, the need to create our own industries and employ members of our own community are imperative. We should have put this plan into action a long time ago! This book should to be required reading for every teacher, educator, administrator, and parent of children of African descent. 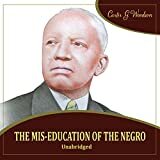 Carter G Woodson’s work helps us understand that African peoples are truly miseducated. This miseducation creates a serious identity crisis on the part of African youth and it causes many Black “educated” middle class people to spend more time trying to reach the consumer American Dream rather than working toward a real self-determination agenda of African peoples. The story of El-Hajj Malik El Shabazz is one that many on their path into consciousness can relate to. In his own words, Malcolm X narrates his rise from the depths of white supremacist subjugation to the leadership of the Black masses. As the son of a Garveyite, student of Elijah Muhammad, and mentor to so many still alive today, Malcolm X lefte behind an undeniable legacy of integrity and leadership by example. The Isis Papers is like an operation manual for combating white supremacy. 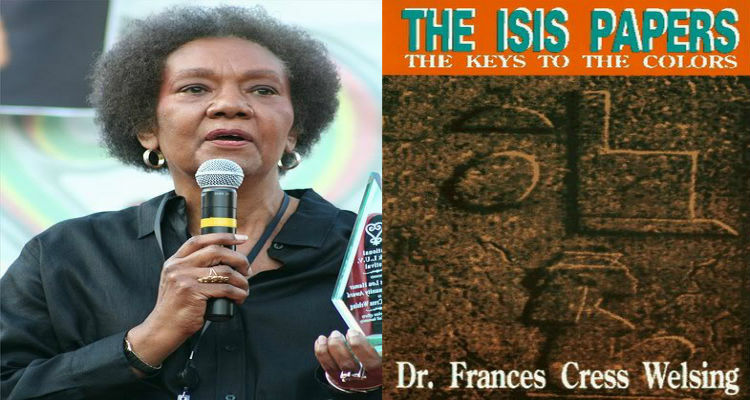 In it, our Ancestor Dr. Frances Cress Welsing lays out the terrain of the battlefield with descriptions of the ‘9 areas of people activity’ and how they have been used against us. Dr. Welsing remains one of the most influential Black psychologists of our time and perhaps of all time. Marcus Garvey is credited as being one of the Founding Fathers of Pan Africanism. Never had the world heard a more passionate speaker, or witnessed a more dedicated worker for the creation of a United States of Africa. In a time when lynch mobs patrolled the streets, he rose up to lead countless millions toward sovereignty and victory, established the most audacious commercial endeavor by any Black man since, and gave Kwame Nkrumah, Elijah Muhammad, and WEB Dubois their ideas. This book is his story. Some of these Black Consciousness books are rare and out of print. So collect them now while they are still available! P.S. Our Supporters get FREE copies of the books above in easy to read PDF format! Click here to get your free PDFs! I am a member, how can I access the free pdfs of these books? Thanks for your assistance. Sending you an email with instructions shortly. Thank you for supporting us with your membership Queen! Great list!!! Is there a reason Consciencism is not in the display of the 12 books but is on the list? Good catch. We recently moved Know Thyself to a different list and havent changed the graphic over yet. Thanks for the reminder! I have read some of these books and I’m well aware of the time of day that were living in. I Wish to work with my brothers and sisters to help build our black communities into to what ew need.